A vegetarian version of a traditional Mexican soup, made with spices like chili powder and oregano, poblano peppers, and hominy corn. Open and drain the black beans and hominy. Seed and slice the poblano peppers. Pour all the ingredients into the electric pressure cooker insert. Ladle the soup into serving bowls and garnish with sliced avocado and chopped cilantro. 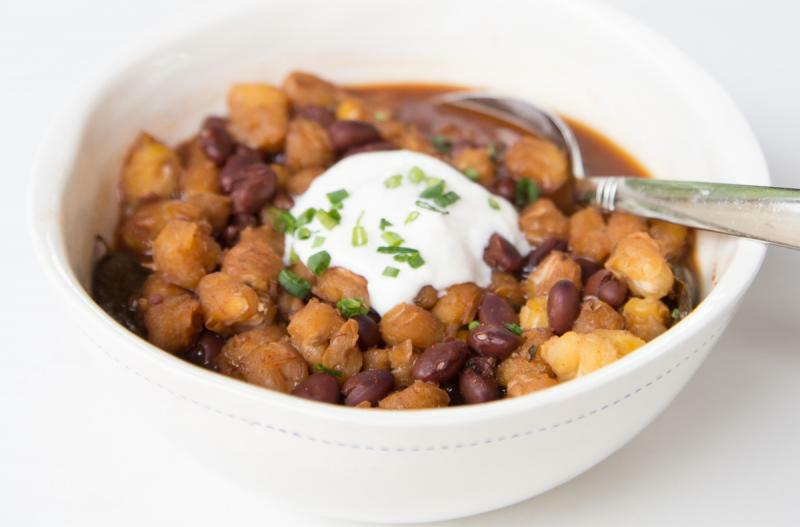 Serve Instant Pot Black Bean Posole with avocado and cilantro garnish, with side salad. Seed and slice 4 poblano peppers. Open and drain 4 cans of black beans and 2 cans of hominy. Recipe is gluten-free when served with gluten free sides. Serve with avocado and cilantro garnish, with side salad.